A XVIII. századi Anglia népszerű alakja, egy meghatározó egyéniség Magyarországon kevéssé ismert. Mary Wollstonecraft Godwinről van szó, aki egy olyan korban született, amikor a nő helye megkérdőjelezhetetlenül a családban van. Az éles eszű lány azonban mindennél jobban szerette a függetlenségét, saját családja mintájára önmaga kerülte a családalapításnak még a gondolatát is. A nők kiszolgáltatottságát és hátrányos helyzetét térképezi fel a 'Vindication of the Rights of Woman' című fő művében, ami már talán egy kicsit nyilvánvalónak érzünk, de ne feledjük, abban a korban ez még korántsem volt egyértelmű. Az öntudatos lány nevelőnőnek állt, az írásaiból tartotta fenn magát, ami az ő korában hihetetlen merészségre és öntudatra vall. De ahogyan az ilyen történetekben lenni szokott, felbukkan egy férfi, az a bizonyos, William Godwin képében, és a férfiban nem csak egy vonzó férfit lát, hanem szellemi partnert is. Csendben házasságot kötnek, és a tervekkel teli Mary a Godwinnal közös babájukat várja. Harmincnyolc éves korában megszüli leányát, Mary Godwint, és élete teljében gyermekágyban hal meg a nők harcos képviselője. Fő feladatnak a nők oktatását, képzését, tanítását tekintette. Történelmi távlatokban tekintve munkásságát igencsak nagy utat tettünk meg. Az anyátlanul maradt leány, a kis Mary Godwin pedig bár nem ismerhette az anyját, mégis megörökölte tőle a harcos, leleményes női szellemet: feleségül ment Percy Shelleyhez, és Mary Shelley néven megírta az irodalom egyik gyöngyszemét: a Frankensteint. Természetesen egy jó kis borzongatós történet is, de közben messzire visz, az örök emberi kérdések mélyére. This volume brings together the major political writings of Mary Wollstonecraft in the order in which they appeared in the revolutionary 1790s. It traces her passionate and indignant response to the excitement of the early days of the French Revolutionand then her uneasiness at its later bloody phase. It reveals her developing understanding of women's involvement in the political and social life of the nation and her growing awareness of the relationship between politics and economics and betweenpolitical institutions and the individual.In personal terms, the works show her struggling with a belief in the perfectibility of human nature through rational education, a doctrine that became weaker under the onslaught of her own miserable experience and the revolutionary massacres.Janet Todd's introduction illuminates the progress of Wollstonecraft's thought, showing that a reading of all three works allows her to emerge as a more substantial political writer than a study of The Rights of Woman alone can reveal.ABOUT THE SERIES: For over 100 years Oxford World's Classics has made available the widest range of literature from around the globe. Each affordable volume reflects Oxford's commitment to scholarship, providing the most accurate text plus a wealth ofother valuable features, including expert introductions by leading authorities, helpful notes to clarify the text, up-to-date bibliographies for further study, and much more. 'I have lately written...a tale, to illustrate an opinion of mine, that a genius will educate itself. 'Mary Wollstonecraft is best known for her pioneering views on the rights of women to share equal rights and opportunities with men. Expressed most forcefully in her Vindication of the Rights of Woman (1792), her forthright opinions also inform her twoinnovative novels, Mary and The Wrongs of Woman, a fictional sequel to the Vindication. In both novels the heroines have to rely on their own resources to establish their independence and intellectual development. Mary learns to take control of herdestiny and become a social philanthropist, while Maria, in The Wrongs of Woman, fights imprisonment and a loveless marriage to claim her rights.Strongly autobiographical, both novels powerfully complement Wollstonecraft's non-fictional writing, inspired by the French Revolution and the social upheavals that followed.ABOUT THE SERIES: For over 100 years Oxford World's Classics has made available the widest range of literature from around the globe. Each affordable volume reflects Oxford's commitment to scholarship, providing the most accurate text plus a wealth ofother valuable features, including expert introductions by leading authorities, helpful notes to clarify the text, up-to-date bibliographies for further study, and much more. 'If ever there was a book calculated to make a man in love with its author, this appears to me to be the book. 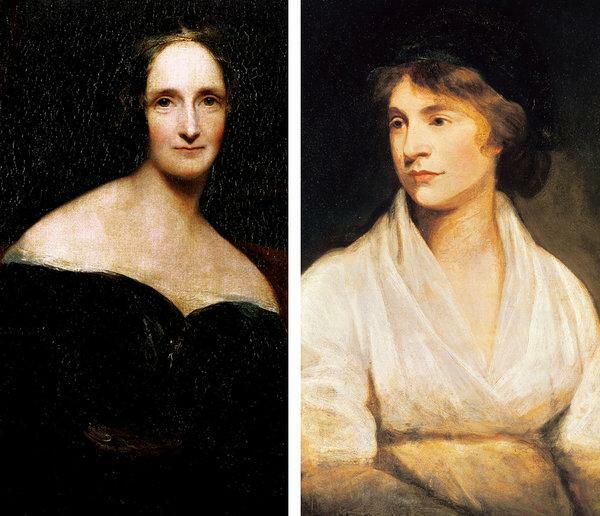 'William Godwin, the author's future husband, was not alone in admiring Letters written during a short residence in Sweden, Norway, and Denmark, Wollstonecraft's most popular book during her lifetime. Not easy to categorize, it is both an arresting travelbook and a moving exploration of her personal and political selves. Wollstonecraft set out for Scandinavia just two weeks after her first suicide attempt, on a mission from the lover whose affections she doubted, to recover his silver on a ship that hadgone missing. With her baby daughter and a nursemaid, she travelled across the dramatic landscape and wrote sublime descriptions of the natural world, and the events and people she encountered. What emerges most vividly is Wollstonecraft's courage andability to look beyond her own suffering to the turmoil around her in revolutionary Europe, and a better future.This edition includes further material on the silver ship, Wollstonecraft's personal letters to Imlay during her trip, an extract from Godwin's memoir, and a selection of contemporary reviews.ABOUT THE SERIES: For over 100 years Oxford World's Classics has made available the widest range of literature from around the globe. Each affordable volume reflects Oxford's commitment to scholarship, providing the most accurate text plus a wealth ofother valuable features, including expert introductions by leading authorities, helpful notes to clarify the text, up-to-date bibliographies for further study, and much more. Percy Bysshe Shelley, The Major WorksEdited by Zachary Leader and Michael O'NeillOxford World's ClassicsA major new edition, freshly edited in many cases from manuscripts, of Shelley's poetry and prose. It contains the longer poems from Queen ...This major new edition, originally commissioned for the acclaimed Oxford Authors series under the general editorship of Frank Kermode, brings together a unique combination of Shelley's poetry and prose - the lyric poems, plays, longer poems, criticism,and essays - to give the essence of his work and thinking. Percy Bysshe Shelley (1792-1822) was a Romantic poet of radical imaginings, living in an age of change. His tempestuous life and friendship with Byron, and his tragically early death, at timesthreatened to overwhelm his legacy as a poet, but today his standing as one of the foremost English authors is assured. This freshly edited anthology - the fullest one-volume selection in English - includes all but one of the longer poems, from Queen Mabonwards, in their entirety. Only Laon and Cythna is excerpted, in a generous selection. As well as works such asPrometheus Unbound, The Mask of Anarchy, and Adonais, the volume includes a wide range of Shelley's shorter poems and much of his major prose,including A Defence of Poetry and almost all of A Philosophical View of Reform. Shelley emerges from these pages as a passionate and eloquent opponent of tyranny and a champion of human possibility. ABOUT THE SERIES: For over 100 years Oxford World'sClassics has made available the widest range of literature from around the globe. Each affordable volume reflects Oxford's commitment to scholarship, providing the most accurate text plus a wealth of other valuable features, including expertintroductions by leading authorities, helpful notes to clarify the text, up-to-date bibliographies for further study, and much more.